Santiago Aguirre is the Latin America Channel and Distribution Director at Avaya Inc., a leading global provider of business communications applications, systems and services. 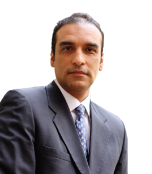 He is responsible for Avaya’s partner strategies and driving key projects with Avaya’s largest global distributors. Aguirre plays a critical role, strategically leading sales and services teams by driving outcomes increasing Avaya’s market share in the region. He is a tireless leader, creating closer relationships with customers and developing cross functional initiatives with global partners. Before joining Avaya, Santiago held multiple management and senior leadership roles including Regional Manager and General Manager at Cisco Systems. He was responsible for Cisco’s top 29 Global Enterprise Customers and spearheaded the design of Cisco Laboratories in Colombia and Ecuador. Santiago was the recipient of the 2012 and 2013 Manager Excellence Award. Aguirre has an MBA in Marketing from Universidad E.A.F.I.T and a bachelor’s degree in Systems and Control Engineering from Case Wester Reserve University. In 2006 and 2007, he served as a Board Member of Colombia’s Chamber of Information and Telecommunications. 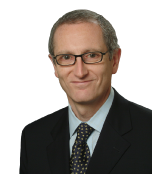 Pierre-Paul Allard is Senior Vice President of Worldwide Sales and President of Global Field Operations for Avaya. Avaya is a leading global provider of next-generation business collaboration and communications software and services. Allard is based at Avaya headquarters in Santa Clara, Calif. 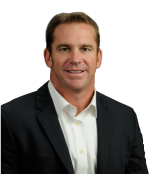 In his sales role, Allard leads the world-wide sales organization, which includes field sales and global channels sales. His focus is to capture market and wallet share in both the enterprise and mid-market spaces. Allard leads a customer-centered, partner engaged sales model where customer satisfaction and loyalty are the core principles. As leader of Corporate Strategy and Development, Allard directs corporate strategy initiatives for Avaya, including strategic alliances, mergers and acquisitions, strategic planning, and analyst relations. 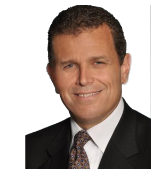 Allard joins Avaya from Cisco Systems, where he was most recently Vice President Sales and Operations, Global Enterprise. In this role, he was responsible for all sales, support and field operations of Cisco's Global Industries Client segment. The Global Enterprise Client is an extremely significant segment of Cisco's business which includes the top enterprise client base and accounts for more than $2.5B of product and services revenue. Prior to this role, Allard served as Vice President of Worldwide Enterprise Marketing, leading marketing strategy and execution for Cisco's global Enterprise market. Previously, he was President of Cisco Systems Canada. He joined Cisco in 1993 from IBM, where he served in roles of increasing responsibility over a period of 11 years. 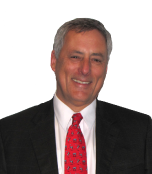 Allard has served as a director for many technology companies in Canada and the USA. He is currently a member of the Board of Directors of EXFO. In 2003, he received the Golden Jubilee Medal from Queen Elizabeth II, which highlights significant contributions to Canada by an individual. In the same year, he was awarded the prestigious Trudeau Medal from the University of Ottawa, Tefler School of Management. In 1998, he was the laureate of the Arista-Sunlife Award, for Top Young Entrepreneur in Large Enterprise, by the Canadian Chamber of Commerce. Allard holds an Honors B.Com degree in Finance and a Bachelor degree in Business Administration from the University of Ottawa. Away from work, he enjoys spending time with his wife Lucie and their three children. He is a private pilot, an avid outdoorsman and hockey player. 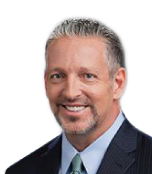 Gary E. Barnett is senior vice president & general manager, Collaboration Platforms for Avaya, a global provider of business collaboration and communications solutions. Gary joined Avaya in April 2011 and has most recently been leading the UC Applications team. Gary is also a domain expert who was a founding engineer at Octel, the founder and CEO of Prospect Software, and later served as president and CEO of Aspect Communications. As executive vice president and Chief Technology Officer at Aspect Software, Gary was responsible for corporate planning, product architecture and lifecycle management. He directed strategic partnerships and long-term product integration plans that support enterprise-level applications. Gary has delivered outstanding leadership and stakeholder value as either a Chief Executive Officer or Chief Technology Officer for over 20 years and is recognized worldwide as an authority on contact center technologies and solutions. In 2006, Mr. Barnett was recognized by the contact center industry with a Lifetime Achievement Award. Gary and Sharon Barnett have been married for 29 years, and reside in San Jose, California, and Brentwood, Tennessee. 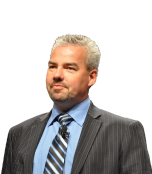 Joe Lohmeier is Vice President of Avaya’s Worldwide Partner Organization. Avaya is a global leader in business communications and collaboration, providing unified communications, contact centers, data solutions and related services to organizations of all sizes around the world. In this role, Joe is responsible for the critically important task of creating and operationalizing our customer- focused, partner go-to-market strategy. Joe leads revenue growth efforts through the Channel Sales team along with the architecture and policy management of the industry-leading Avaya Connect program for the more than 9,000 world-wide Partners that make up the Avaya Channel community. Joe is responsible for accelerating the Mid Market, Networking and Video Go-to-Market business practices of Avaya’s partners, while creating new paths for capturing market share in areas such as Cloud solutions. Joe joined Avaya in June 2014 as Vice President US Channel Sales with 19 years of sales leadership experience that spanned direct, indirect sales and sales operations. Prior to joining Avaya, he served as Vice President of Americas Sales at VMware, an industry leader in virtualization software. He has also held prior sales leadership positions at Cisco and Parametric Technology Corp. During his tenure at VMware, Joe led the transformation of the Inside Sales team, initiated a cross organizational sales feeder program, built greater partner collaboration in the midmarket space, and ultimately generated increased demand in the Americas. Throughout his career, Joe has demonstrated this unique ability to drive a metrics-run business, fuel growth, build sales cadence and change the culture and strategy for high tech sales teams. Lohmeier credits his diverse background for his well-rounded management style. He focuses on identifying the best talent, communicating a clear vision, ensuring that team members execute against that vision, and recognizing the essential elements for succeeding in a rapidly changing and competitive market. He is known for building successful, highly motivated teams that execute. Joe holds a B.S. in Education from The University of Arizona. He and his family live in the Austin area. Dino has a passion for technology, a drive for customer success and has consistently built high-performing sales teams. Dino is an accomplished, creative and high-energy business executive with more than 23 years in the Information Technology and Internet industries. He joined AVAYA after a very successful 17-year career at Cisco Systems where he held various sales leadership roles supporting large Enterprise, Global Accounts and Service Provider teams. In his more recent roles, Dino led teams focused on the on the Cloud and Data Center markets in Canada. Dino comes from a technical heritage starting his career as a Software Developer at Nortel Networks. Dino lives in Toronto, Canada with his wife and two young children. He holds an Honors Degree in Computer Science and Mathematics from McMaster University. Michael Smith brings over 20 years of enterprise software and telecommunications industry experience to Avaya, where he is the Senior Director of Global Solutions, Services, and Theater Marketing responsible for bringing to market all of Avaya’s products and services including Unified Communications, Contact Center, Fabric Networking, Cloud Services, and Customer Support Services. In this role Michael is responsible for leading marketing strategy development, global product launches, competitive analyses, customer segment marketing campaigns, partner marketing campaigns and field marketing execution. 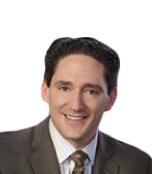 Prior to joining Avaya, Michael was the Director of Marketing for Cisco Collaboration Applications including WebEx Meetings and Cisco Jabber and he was the Director of Marketing for Microsoft Lync and Microsoft Business Intelligence. Michael also previously worked in the telecom industry as a Managing Consultant for Deloitte Consulting’s Telecom practice and as a Director of Product Management for Pacific Bell Wireless. He holds an M.B.A from the Tepper School of Business at Carnegie Mellon and a B.S. in Information Systems also from Carnegie Mellon. I am currently Vice President & Chief Technologist for Software Defined Architecture, worldwide sales. My role consist in defining strategic direction in regards to SDA and work across all our portfolio to deliver on automation and orchestration making it easy to deploy new services across the Enterprise regardless of the cloud deployment model. In addition my role also consists of driving incremental revenues through strategic solutions initiatives such as Public Safety as well as ensuring we accelerate our growth and exceed our revenue objectives for Fabric technology deployments across Enterprise and mid-market. Prior to that role I was Vice President of World Wide Solutions Engineering. In this function, I was leading a premier team of “Subject Matter Experts” supporting global strategic sales opportunities by consolidating the “BEST of our Sales Engineering” community into a global team recognized by their management and peers as being top performers. Expertise is across Avaya’s entire Portfolio, from UC, CC, Video, Networking, Data Centers, SDN, Virtualization, SANs, etc… Earlier at Avaya I was Vice President of Technical Solutions Strategy and Marketing. That role consisted of providing strategic solutions investments recommendations for both go to market and for R&D investment in building competitive Enterprise and Cloud based solutions globally. At that time I managed 27 global senior engineers supporting strategic go to market sales opportunities, events, partnership activities to help penetrate new market while creating new revenue opportunities in addition to market analysis from these engagements back to the R&D and PLM communities. Before these roles I was Vice President and General Manager of Portfolio and Solutions Strategy, Avaya Networking responsible for all Avaya’s Enterprise data portfolio. In that role for 4 years, I was managing a global team of 21 Senior Product Line Managers who were responsible for providing strategic directions and investments to deliver a highly competitive portfolio. Jean and his team are globally recognized and represent the core of Avaya Data Solutions business unit. This knowledge ranges from various technology such as Cloud based solutions, Data Center and Enterprise Virtualization, SAN’s, Mobility Solutions with Emergency Services, Video Enablement and Smart building Solutions while going as far back as basic communications and mainframe solutions. I bring a wealth of expertise with 32 years of experience that enterprise customers, service providers and partners greatly value. I also completed an MBA which combined with my technical background enables me to lead the Enterprise data portfolio and its future development. Our team of Global Product Line Managers are working closely with global account teams and selected partners to drive revenues while providing design recommendations for solutions such as for the 2010 Vancouver Olympics network as well as Sochi 2014 Olympics. In addition to internal Avaya activities, I have been a featured speaker at various events such as CIO summits, Enterprise Connect, N+I in Tokyo & Las Vegas, Distributor Alliance Council, INNUA/Global Connect conference, numerous global partner conferences, Nortel Enterprise Technology Forum (NETF), QUESTnet, Global Connect/INNUA, numerous customer and partner Executive meetings for Enterprise solutions positioning and differentiation as well as interfacing with analysts and press on various technology and business strategy as well as competitive position. 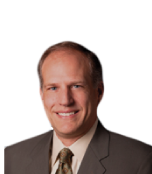 Mike Weis is Sales Enablement Director of Avaya’s Segment Leadership Group. Mike is responsible for developing Avaya’s strategy for the migration and modernization of Avaya’s expansive embedded base of customers to our latest solutions. In this position, he is building promotions and programs to enable Avaya’s partner community to drive migrations profitably. Additionally, his team creates the financial modeling to support the shift from CapEx selling/consumption of Avaya upgrades to an OpEx model to support shift in buyer preference, thus enabling the sales teams to leverage this information during the sales process. Prior to the current assignment, Mike was US Technical Director for US Channels Channel director since 2007, prior to that he served as the US System Engineering Director and Applications Solution Sales Director. In this position, as a member of the channel management leadership team Mike grew the partner business model, market coverage strategy, developed and transformed Avaya’s solution adoption strategy, partner competency development model and increased focus on Avaya being the preferred partner. Additionally, as core member of global channel strategy team, he helped to define programs and support strategies to build partner loyalty for Avaya. Channel development, technical enablement, enterprise transformation and team leadership. Mike has 30+ years of industry experience and in numerous Technical & Sales roles within IBM, AT&T, Lucent Technologies & Avaya: US Technical Leader, Regional Area Applications Director, Branch Sales Manager of Central Florida, State of Florida Government Sales Leader, National Account Manager and Senior Sales Marketing representative for AT&T/Lucent. During this time Mike has been recognized as recipient of Avaya’s Chairman’s Club, (16) Achievers Club Awards, AT&T Genesis Award and (5) AT&T Vice President Summit Awards. Mike received his degree in Business & Finance from University of West Florida. Mike currently resides in Pensacola spending his free time with his family, enjoying fishing and spoiling his 5 grandchildren. Ensuring that world class service offers are easily available in a way that meets the evolving needs of our customers and partners. Todd joined Avaya in April 2012 and is based in Santa Clara, California. Prior to his current role he was the VP for Global Sales Operations. Todd worked at General Electric for 19 years prior to Avaya, most recently as the Senior Executive / General Manager for GE Energy - Industrial Solutions EMEA, based in Barcelona, Spain. 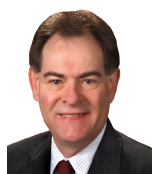 With GE Todd has worked within a number of functional areas across 3 GE businesses, including Finance, Six Sigma, Supply Chain, Product Management, and Service. Originally from Canada, he has spent 18 years working in Europe. 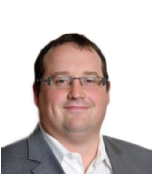 Todd has a BA degree in Business Administration and Finance from Wilfrid Laurier University, Canada and an MBA from the London Business School. He enjoys spending time traveling and playing multiple sports with his wife and 3 children. Laurent is a recognized leader and proven visionary in the enterprise collaboration and communications space. Prior to his current role, Laurent served as Vice President, Corporate Strategy and Development for Avaya. Before joining Avaya, Laurent served successively as Vice-President and General Manager of several business units and as Chief Technology Officer for Cisco’s Collaboration Technology Group and before joining Cisco as CEO for Genesys. Laurent is a graduate of Ecole Polytechnique in Paris and earned a master’s degree in Management Science from Paris University. He holds nine U.S. patents. In his spare time, Laurent is an avid sportsman who enjoys running and biking. His other hobbies include practicing his culinary skills, flying airplanes and reading on a variety of topics. Mohammad Nezarati leads the UC applications group, including audio conferencing and messaging solutions for Avaya. Prior to joining Avaya, Mohammad founded Esna Technologies in 1989 to deliver innovative communications and collaboration solutions to enterprise customers, which was acquired by Avaya in May 2015. He served as both CEO and Chief Technologist for Esna, and was the primary architect and developer of the company’s first award-winning UC solution, Officelinx. 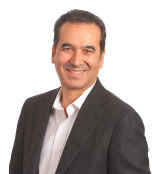 Mohammad has more than 25 years of leadership experience and has been honored with the Canadian CTI Pioneer award for his experience in the messaging and communications industry. Morag Lucey is Chief Marketing Officer (CMO) and a member of the executive council at Avaya. In her role, Morag leads the Global Marketing team and is responsible for a variety of marketing disciplines, including distribution channel management, marketing communications, branding, and articulating the customer experience to drive increased demand for Avaya solutions worldwide. 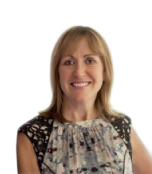 Morag's career spans 30 years in marketing, sales and general management in the technology and telecommunications space. A distinguished leader with a proven history of increasing brand impact, Morag has held top marketing positions with a variety of companies, including BAE Systems, Convergys and SAP. She also has extensive experience leading product management and strategy and M&A functions in prior roles. Morag returned to Avaya in October 2015. She held previous positions with the company from 2002 through 2007, including Vice President of EMEA Marketing and, before that, Vice President of Global Marketing and Channel Management for small and midmarket business solutions. Prior to rejoining Avaya, Morag was CEO of VirtualCMO Limited, a marketing consulting firm focused on generating short term profitability and long term stability. 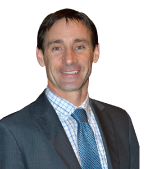 Rob Auld is the Vice President of Channels and Midmarket for Avaya Canada, a leading global provider of business communications applications, systems, and services. In his role Auld works closely with channel partners to drive growth for the organization’s Mid-Market business. In addition to being a driving force behind channel initiatives, Auld plays a critical role in defining Avaya’s strategic sales direction. He is recognized as a sales leader who specializes in transforming underperforming teams and driving them to success. Auld brings a wealth of experience, previously working as Avaya Canada’s Vice-President of Mid-Market, where he specialized in transforming sales teams and driving business results. Before joining Avaya, Auld held multiple leadership and business enablement roles as Director of Sales for both Purolator Inc. and TELUS, where he rose through the ranks during a successful decade-plus stay. Auld was a 2013 President’s Club Award recipient. Auld has a bachelor’s degree in Marketing and Business Communications from Ryerson University. In this role, Steve is responsible for the critically important task of creating and operationalizing our customer-focused, partner go-to-market strategy. Steve leads revenue growth efforts through the Channel Sales team along with the architecture and policy management of the industry-leading Avaya Connect program for the more than 10,000 resellers, system integrators and service providers that make up the world-wide Avaya channel community. Steve is responsible for accelerating the Midmarket, Networking and Cloud business practices of Avaya’s partners. He is committed to driving channel adoption of outcome-oriented services, including the SaaS (Software as a Service) model that customers increasingly demand. Steve has a proven track record in the development and implementation of complex global go-to-market strategies, with more than 25 years of experience in the networking industry and established expertise in sales, channels, marketing and operations. Prior to Avaya, Steve held the position of senior vice president and Global Group Executive – ISV and OEM Sales for Oracle. Before that, Steve held various senior leadership positions at Micro Focus, Inc., Allen Systems Group, VMware, and IBM. Steve is currently an active Advisory Board Member for private equity firm Lumia Capital. 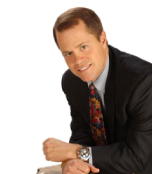 For 21 years as a corporate consultant, speaker, author, trainer and coach Tom McCarthy has successfully taught hundreds of thousands of people how to dramatically increase their level of performance in business and in life. He has presented more than 1,500 seminars, workshops, and training programs to corporations and associations in 21 different countries around the world. Tom’s seminars and books have been translated into 10 different languages. Tom not only speaks about success in business, he’s lived it. After graduating from the University of North Carolina in 1983 where he was a member of the nationally ranked football team, Tom became the youngest stockbroker ever hired by a prestigious Wall Street firm. By his second year Tom had become one of the highest producing brokers in the entire firm. In 1986, when the leader of one of the country’s largest training organizations, Anthony Robbins, was looking for a leader to coach, energize and train the Robbins Research sales force, he chose Tom McCarthy. He became its first National Sales Trainer and National Sales Manager. As a result of Tom’s leadership, management, and training the company’s sales more than doubled each year he was there. Tom then became one of the first people Anthony Robbins personally selected to lead his prestigious Mastery University seminars. 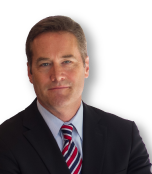 In 1993 Tom founded Thomas McCarthy & Associates, a thriving training and consulting firm, which works closely with clients ranging from new ventures to Fortune 500 companies. In addition to coaching and training peak performers in business, Tom has also been hired to work with 4 Olympic Gold Medalists as well as several World Champion athletes and teams. Tom resides in Rancho Santa Fe, California with his wife Stacy and their two children.